Today I was playing Heart of Iron IV on PC but I don’t like the soundtracks of the game. Some of my favorite soundtracks come from the glorious classic game Battlefield 2142. I do also like the menu soundtrack of that game a lot. But enough talking, you’re probably here to find something out. I just mentioned it because I was looking for something you are probably looking for too if you came here via Google. I wanted to loop the soundtrack video, so that I hear it infinitely while I play Heart of Iron IV. 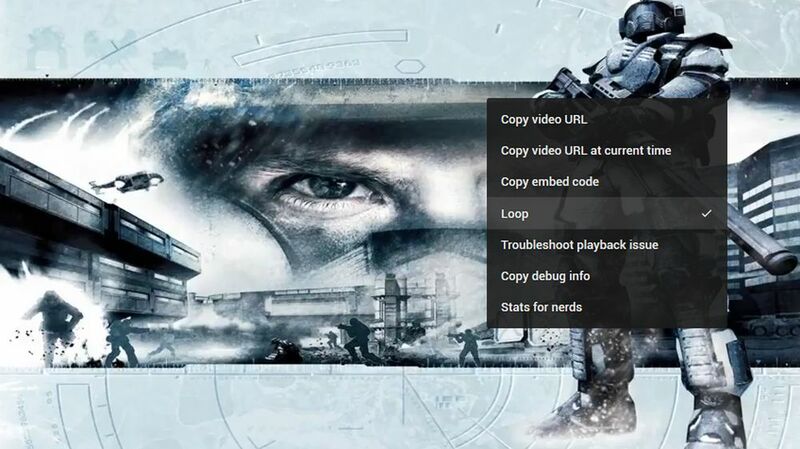 So, if you don’t know how to set it up that YouTube automatically repeats your favorite video, let’s take a look! It’s super easy! Open YouTube and the video you want to loop. Right-click somewhere in the video frame. A menu should pop up where you click on “Loop”. Done! That was easy, huh? I hope this short guide helped you. I do enjoy writing these small guides, if you think this was helpful, it would be great if you share the article in your circle. If you want to add any information’s, there is a comment section below. As always I am interested why people are looking for the information’s. So, if you like, drop a comment and tell me why you wanted to loop a video on YouTube!